I recently wrote of my terror at the prospect of a mob in full flow. On Wednesday I witnessed one first hand. It wasn’t as terrifying as a gang of religious thugs stoning to death a gay man who’d had the temerity to survive being thrown from a seven-story building, but it was frightening in its own context nonetheless. Seven decent, honourable people doing righteous public service for very little reward were hounded out of office in Rotherham, by a mob whipped up by a partial government report that has condemned the very people who had finally started to get a grip on the chaos and confusion that has hurt so many in that town. Over the last 30 years, I suppose it’s possible I’ve met a braver politician with more integrity than Paul Lakin but I can’t recall one and I’ve shaken the hand of Nelson Mandela. If you think that’s hyperbole you’ve never had a friend who suffered sexual abuse from the age of eight and seen her shake uncontrollably at its mere recall many years later, or heard her scream out in her sleep, as I have. If you believe I don’t take sexual abuse seriously enough then stop reading now, I can’t help you and you will learn nothing here. Paul Lakin and his team rolled up their sleeves when many others headed for the hills, and they were making good progress. 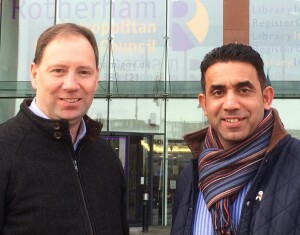 Lakin was the Leader of Rotherham Borough Council from 10 September 2014 until Wednesday 4 February 2015. It was the interregnum between the Jay report and this week’s Casey report, shall we say? During those 146 days he put his heart, soul and considerable personal capital into serving the people of Rotherham who are today worse off for his absence as their council leader. Among their number are many survivors and victims of child sexual abuse. You are currently browsing the archives for the Child sexual abuse category.